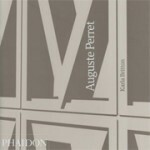 This monograph on the work of French architect Auguste Perret (1874-1954), a pioneering precursor to the Modern movement, looks at Perret's projects in France and abroad, such as the Musée des Travaux Publics in Paris, the Church of Notre-Dame at Raincy and other domestic, industrial and urban buildings, and his innovative use of structure and material. 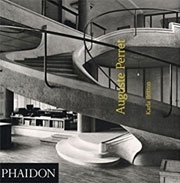 The book is richly illustrated with colour photography as well as drawings and photographs from the Perret archive and includes an appendix of Perret's aphorisms and other writings. Karla Britton is Director of the New York/ Paris programme of Columbia University's Graduate School of Architecture, Planning and Preservation in Paris.